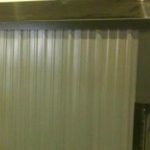 This unit comes with water treatment, forced draft with automatic damper, aquastat controlled, digital temperature readout, & water level gauge. 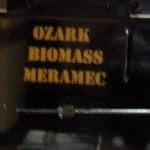 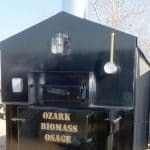 The Econo Outdoor Wood Furnace is built of quality material by Missouri craftsmen in the USA. 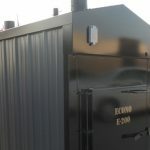 The water tank is 11 gauge steel, the fire box is 9 gauge steel, with a 6 inch X ¼ inch flue pipe that runs vertical out the top of the fire box through the water tank then out to the atmosphere. 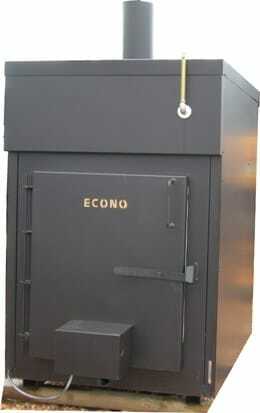 The Econo Outdoor Wood Furnace has a large firedoor to allow big pieces of wood to be burned without splitting. 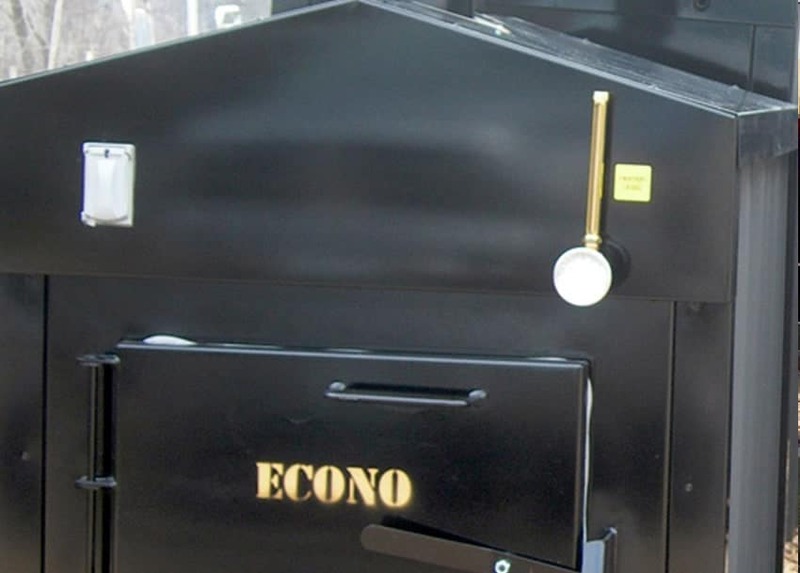 The Econo Outdoor Wood Furnace comes standard with a three (3) year warranty.